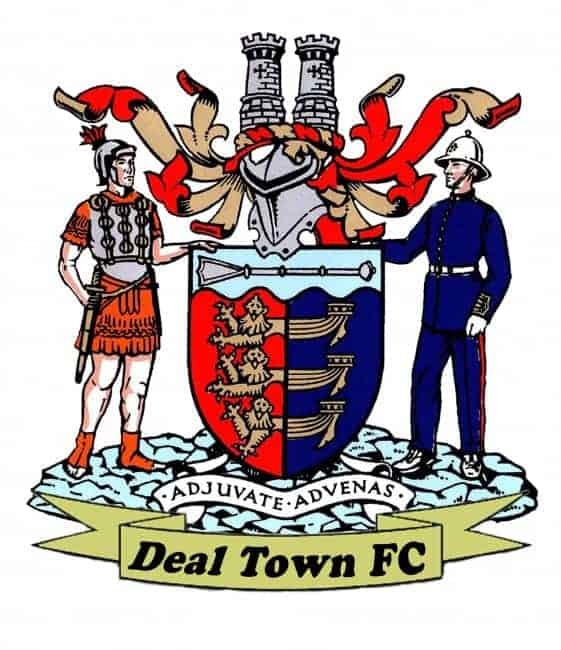 Deal’s Kent Senior Trophy semi-final “hoodoo” goes on after they again fell at the last-four stage on Tuesday night, losing 2-1 on penalties to Cray Valley after the tie finished 2-2 at the end of extra-time. It was the sixth occasion in the last nine years that the Hoops had lost in the semi-finals of the competition, and also the second time this season that they had missed out in a penalty shoot-out with Cray Valley after losing to the Millers in the same fashion in a SCEL Challenge Cup tie before Christmas. In a fast-paced and full-blooded cup tie which ebbed and flowed throughout the full 120 minutes, the Hoops unfortunately undid all of their earlier good work with something of a “horror show” in the shootout. Kristin Gregory, Dean Hill, Kane Smith and Jack Paxman all missed their penalties with only Ryan Philpott finding the target. 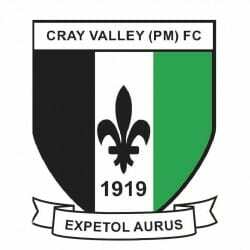 It meant that although Cray’s Ben Francis and Laurence Collins also wasted their attempts, two “on target” efforts from Tom Youngs and Ryan Fowler were sufficient to send the Millers through to the final against Ashford United on April 9. Although the tie had to be postponed on Saturday because the Charles Ground was waterlogged, the hard work of the Hoops’ groundstaff meant the pitch was back in excellent condition for Tuesday’s re-match and Deal’s young wingmen, Harry Alexander and Jack Paxman, were soon giving Cray plenty of problems down both flanks. And it was Paxman who set up the goal which gave the Hoops a narrow but deserved half-time lead. He was fouled by Millers’ goalie Jordan Carey as he raced into the Cray area and, on this occasion, Hill coolly converted the resulting penalty. But a one-goal lead was always likely to prove slender against a Cray side who had won five of their previous six matches, scoring 20 goals in the process, and they soon began to show why in the second half. With the Millers taking control of the midfield area, Deal were pushed back towards their own penalty box but some dogged defending by Hill and Kane Smith meant Cray had to wait until the 73rd minute before equalising through a low drive from Ben Francis. That goal could have sapped Deal’s spirit and energy but instead it was Derek Hares’ side who finished the stronger in the closing stages of normal time and Connor Coyne and Charlie Walsh both went close to grabbing the winner. But, as in their earlier cup clash in October, the two sides again had to go to extra-time and it was the Millers who struck first through a deflected 97th-minute effort from Ryan Fowler. The Hoops, however, got back on level terms just before the end of the first period when Luke Bigginton headed home a Gregory corner, and then in the second period Chris Waymark ensured it would go to penalties with a superb save from Jason Thompson’s fiercely-struck low free kick. From the Hoops’ viewpoint, however, the less said about the shootout the better, but at least Deal will have the chance to gain some quick revenge when the two sides meet again in a league game at the Charles Ground this Saturday. Deal: Waymark, Scott (Gregory 65), Hill, K Smith, Bigginton, O’Brien (Philpott 98), Paxman, Miller, Coyne, Alexander (D Smith 65), Walsh.